There's an all-new Clam Battle mode. Nintendo has announced an enormous new update for Splatoon 2 on the Nintendo Switch. The update includes swathes of new content, including new maps, a bunch of new hairstyles, 140 gear items, new music and a new battle mode. The new MakoMart map takes place inside a giant shopping centre, fighting between and over the aisles. It’s coming on November 25 so you won’t have to wait long. The next day will see the map involved in a new season battle, too. On top of that, Salmonid Smokeyard and Shellendorf Institute are also being added, as well as Walleye Warehouse and Arowana Mall from Splatoon 1. Salmonid Smokeyard has a large gap in the centre, encouraging players to use fan lifts whenever they want to cross. From the sounds of it, players will be able to help boost their teammates across on fans, meaning teamwork is key. A brand new mode, Clam Battle, will be available from mid-December. This new mode tasks players with collecting clams from around the map before throwing them into a basket near the enemy team’s base. You’ll have to break the barrier protecting the opposing team’s basket before you’re able to dunk them clams, however. To help with this, collecting 10 clams will net you a Power Clam which can help destroy the barrier. You’ll have to be careful about grabbing too many clams though, as anyone who kills you will be able to steal the ones you drop. Nintendo have also added extra Amiibo functions which let you take and share in-game photos from locations in the battlefields if you’ve got a compatible figure. An enormous number of customization options are also coming, with the full roster detailed by the Splatoon 2 Twitter account. 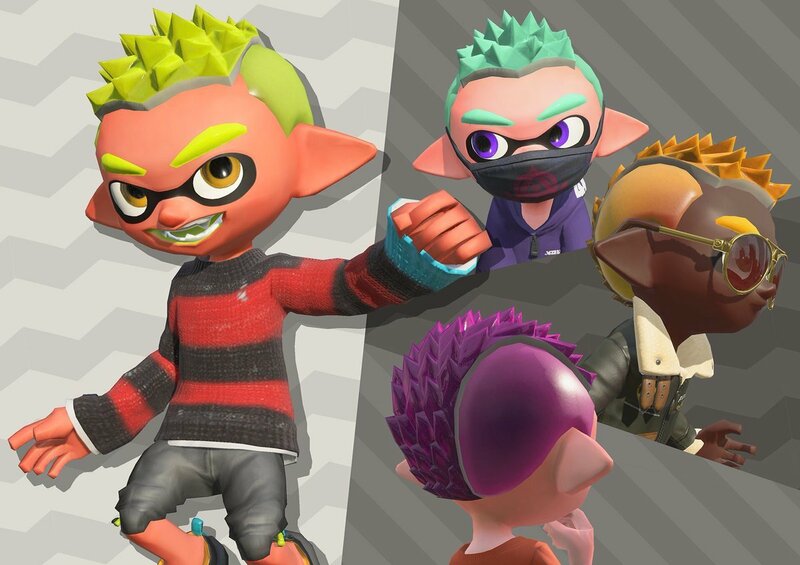 Want to deck your Squid-kid in short-cut spikes and a face mask? No problem. Prefer to look like you’ve been out fishing the whole day? They’ve got you covered too. Phew, that's a lot of extra content. Splatoon 2 are clearly proud of it, and could resist taking a shot at EA's recent troubles along the way. Here is a recap of all the new additions to the Splatoon 2 Holiday Update! Lots of brand new content!